LED video boards provide you with unlimited opportunities to communicate key messages and game stats, generate revenue from sponsorship and advertising, and captivate your audience like never before. Nevco designs and manufactures state-of-the-art, custom video displays for any venue to deliver the ultimate game day experience. Indoor models are great for sports like basketball, volleyball, hockey, and wrestling. Standard indoor video displays offer full color and come with 10mm video boards. Outdoor models can withstand the elements and perform just as well as indoor models. These video displays are ideal for football, soccer, baseball/softball, lacrosse, tennis, track, and even swimming. 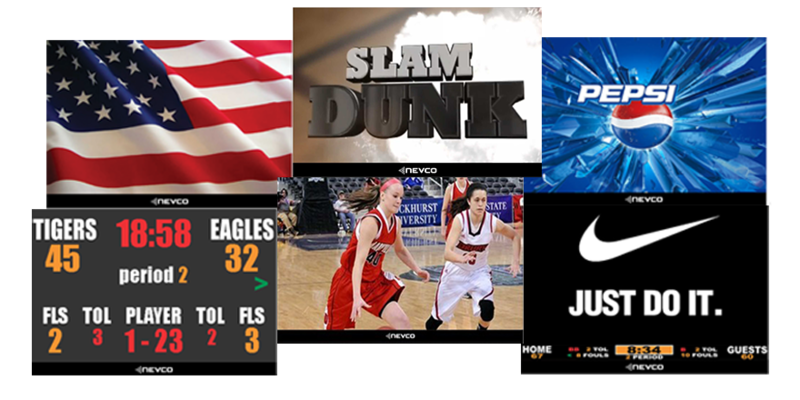 Video displays come with features that include replay, player stats, sponsor messages, animation, game footage, and more. Best of all, Toadvine can find a quality video solution that suits your budget and accommodates all of your custom needs. Contact us today for more information!